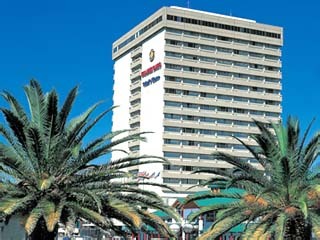 4 Hotels found in Namibia! Open: March - November... Once the hunting ground of the Spotted Hyena, Wolwedans takes its name from the African for where the wolves dance. 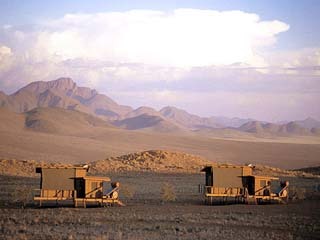 The very word conjures up an aura of mystery and romance which, when visiting Wolwedans, the nature and the rhythm of the desert will evoke within you. Open All Year... 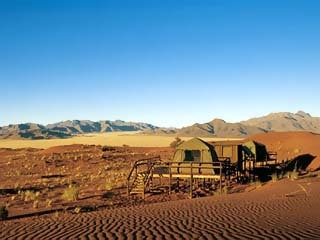 The Dunes Lodge aims at providing a unique experience close to nature, yet without compromising comfort and style. The entire Lodge is constructed on wooden platforms and overlooks panoramic vistas in all directions, capturing the desert in an intimate and memorable way. Open: March 15 - December 15... Once the hunting ground of the Spotted Hyena, Wolwedans takes its name from the African for where the wolves dance. 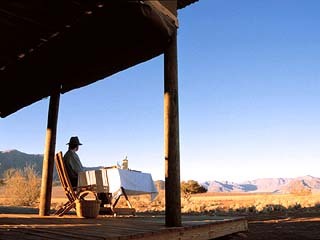 The very word conjures up an aura of mystery and romance which, when visiting Wolwedans, nature and the rhythm of the desert will evoke within you.